“Application development for macOS and iOS”. Independent developer Choddev is engaged in development of application for macOS and ios. 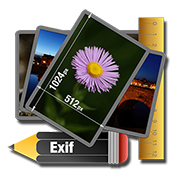 This program can be used to view and edit the metadata (Exif, IPTC and others). Image dragged into the window and release. The program automatically retrieves all the information that is stored. Image info has two cards. At first you can edit the metadata and the second is used to display the full information. GB Translator is a tool to quickly translation. You can choose from the two largest Translate.